Collection of glass from Easington and Horden beaches in Co Durham. This took approx 3hours to collect. Easington and Horden beach is about 5 miles south of Seaham where the glass factories were over 100 years ago. I love those colors! 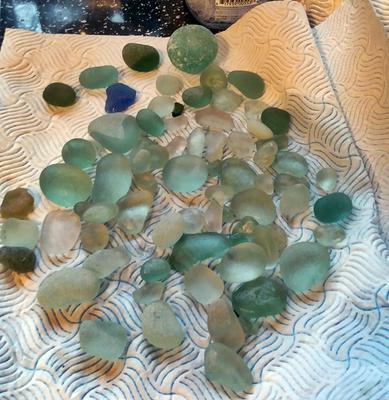 Seaham seams to be the unofficial sea glass capital of the world because of its old glass factories. With all the collecting going on, is it starting to get scarce there? Wow, what beautifully sea-tumbled gems! Spectacular finds!